West side of Highlands Ranch Property Management, West side of Highlands Ranch Property Managers, West side of Highlands Ranch, CO Property Management Companies. We offer a full range of property management services tailored to you as an investor, homeowner, or landlord. We have an extensive portfolio of single family homes, townhouses and condos in the West side of Highlands Ranch area. Why Hire Assured Management to Manage Your Property? Available rental properties are professionally advertised on our website and other websites including digital photos of both the interior and exterior. Usually a "For Rent" sign with advertising brochures is placed in the yard of your rental home. On line applications are available to potential renters. 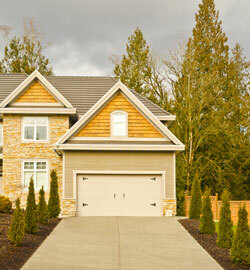 We personally show your occupied property, pointing out amenities of the property and the neighborhood. At no cost to you we offer a secure lockbox program for times when a personalized showing is not possible. We screen prospective tenants by using credit company reports, eviction reports, criminal reports, personal interviews, references, and minimum income criteria requirements. 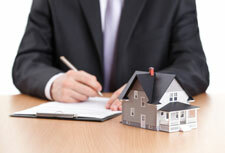 We use detailed lease forms created by an attorney that specializes in Colorado Landlord Tenant law. Rent is due on the 1st, if not received by the 6th a 3-day notice to pay or vacate is posted. Your owner proceeds check is direct deposited into your bank account every month on or before the 15th of the month. Your check is always on time and will never bounce. We provide you with on line access to complete owner accounting statements each month. We adhere, monitor and insure that your rental is in compliance with all known property and safety codes to reduce your risk as an owner of a Colorado rental unit. Annual, optional maintenance surveys are scheduled prior to lease expiration at a minimal cost to you. These surveys provide us with a good look at your rental prior to offering the tenant a new lease. Repair or improvements can be scheduled while the property is occupied. We coordinate authorized repair at no additional charge to you; additional mark ups are never taken. We promptly take the necessary action to correct any negative situations. We use independent maintenance people, known through our experience to do a good job, at reasonable rates. Our vendors are required to carry and provide proof of liability insurance and/or workman's compensation insurance. Most vendors have worked with us for years. They provide prompt, courteous service and know they will receive payment promptly. Your tenant is our customer and we do everything we can to satisfy them with prompt response to their requests. Renewal packages are provided to your tenant in advance of their lease expiration at a minimal cost to you. Nothing costs you more than a vacancy and we work hard to reduce the likelihood of having one. Security deposit disposition is handled promptly and according to Colorado law. We specialize in Residential Property Management; you can rely on our knowledge and experience. You have your job, we have ours.